Indonesian food is one of most compelling reasons to visit the country in South East Asia. There are 6000 islands and 300 ethnic groups in Indonesia creating a diverse and vibrant mix of food. As you would expect with a country that is spread over such a large territory, there is a great amount of regional variation in Indonesian cuisine. 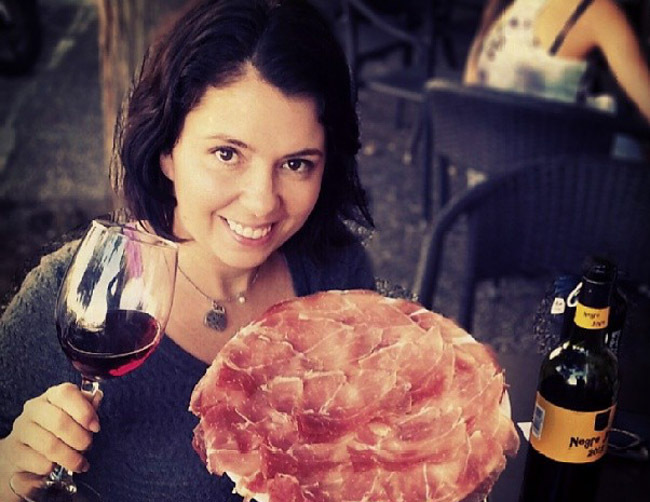 That’s what draws me to the country, its food is a living story of the cultural, historical and geographical influences. Sadly I haven’t traveled there yet but here are 23 dishes that I’m most interested in trying. 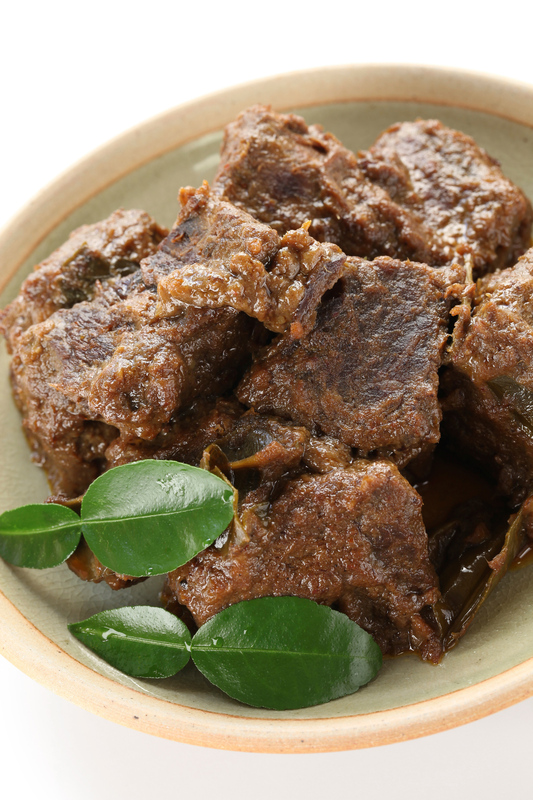 Probably the most famous Indonesian food, rendang originated in the Sumatran region of the country. Essentially it is spicy preserved meat. The recipe allowed meat to last four weeks without refrigeration, and also provides a superb tender meat and great spicy flavour. The main ingredient of this tasty soup is okra, and it is usually served with rice vermicelli. However, vegetarians should note that this is often cooked in a chicken broth, while there are also varieties prepared with sliced beef too. Soto is a very common Indonesian food. It is a traditional soup in a thin but well seasoned broth. 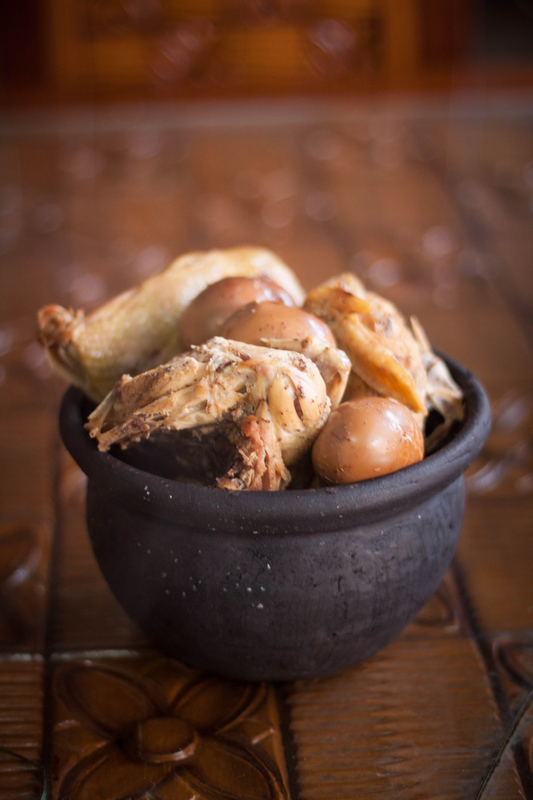 The sota madura can be prepared with chicken or beef and offal, along with vegetables. 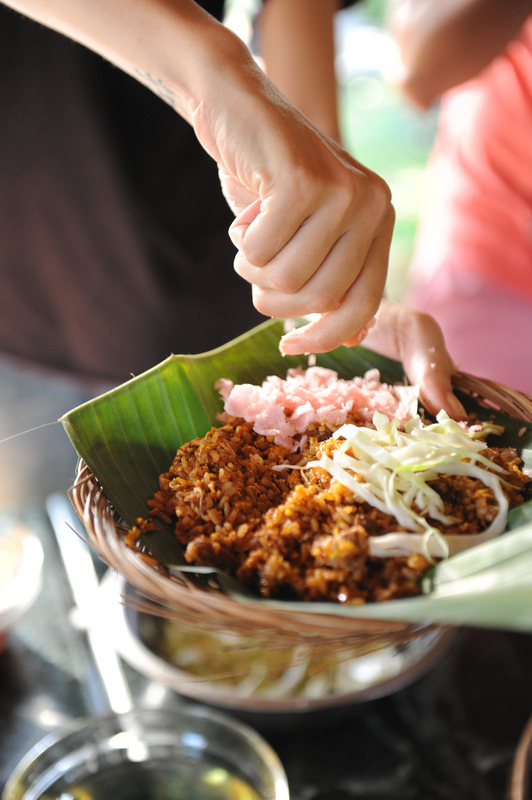 When you ask anyone about Indonesian cuisine, nasi goreng is often the first dish they suggest. The second is Nasi Padang, which is a steamed rice dish. In many places nasi goreng refers to any kind of fried rice. However, the traditional dish is fried rice with soy sauce and shrimp paste. It is often served with chopped sausage and vegetables. Another rice dish, which usually includes a portion of meat or fish. Yet, the distinctive feature of the dish is that the raw is soaked in coconut milk and herbs. When cooked it gives it a sweeter flavour and a lovely aroma. With such a long coastline around so many islands, seafood plays a big role in Indonesian food. 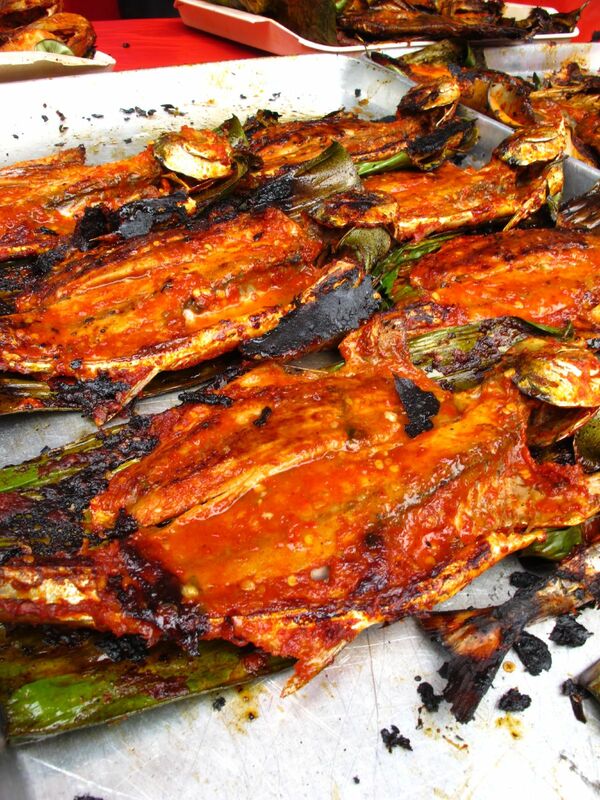 It is possible to make ikan bakar with many different species of fish, that marinate in Indonesian spices and sweet soy sauce before barbecuing the fish. 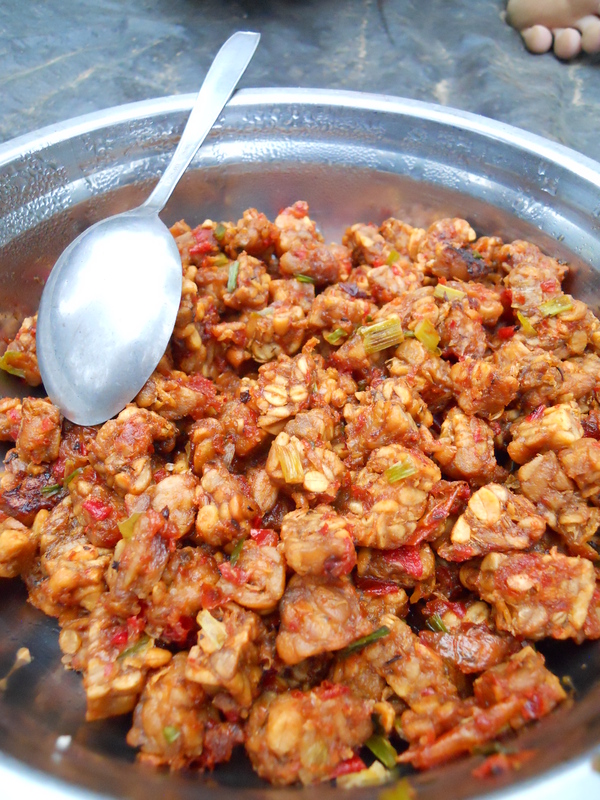 This spicy chicken dish originated in the Lombok region. It is cooked in a two stage process, chicken is grilled, then tenderized and dipped in cooking oil and a spicy paste made with garlic and chilli, and returns to the grill to finish cooking. This Indonesian food originates on the island of Java. This classic Java cuisine is a salad prepared with cabbage, cucumber, bean sprouts and Thai basil. Yet, the distinctive peanut sauce gives this dish its distinctive flavour. 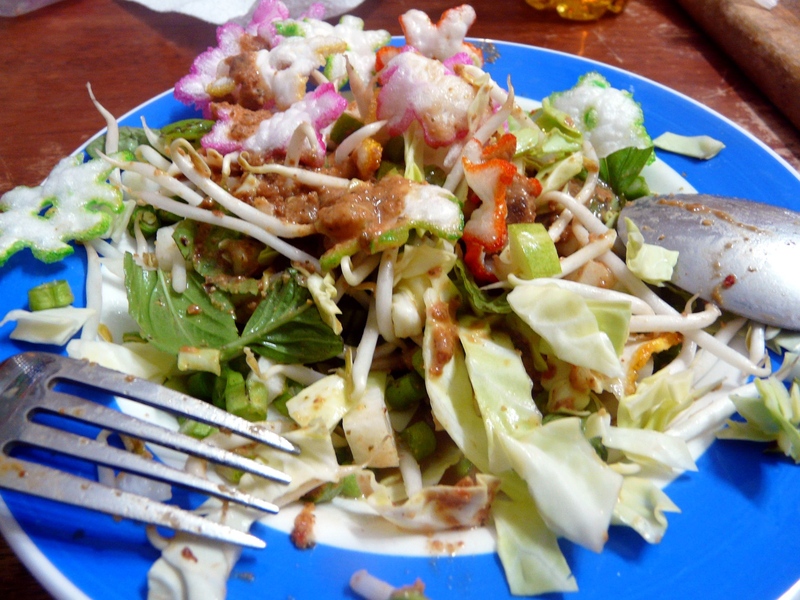 Indonesian cuisine also includes a great salad called gado gado or lotek. It consists of cooked vegetables with hard boiled eggs and tempeh amongst other ingredients and it is also served with a peanut sauce. These tasty and sweet snacks are made with the flesh of the cassava. It is cooked with a mixture of sugar, shaved coconut and rice wine, which provides a lovely caramelized effect when cooked. 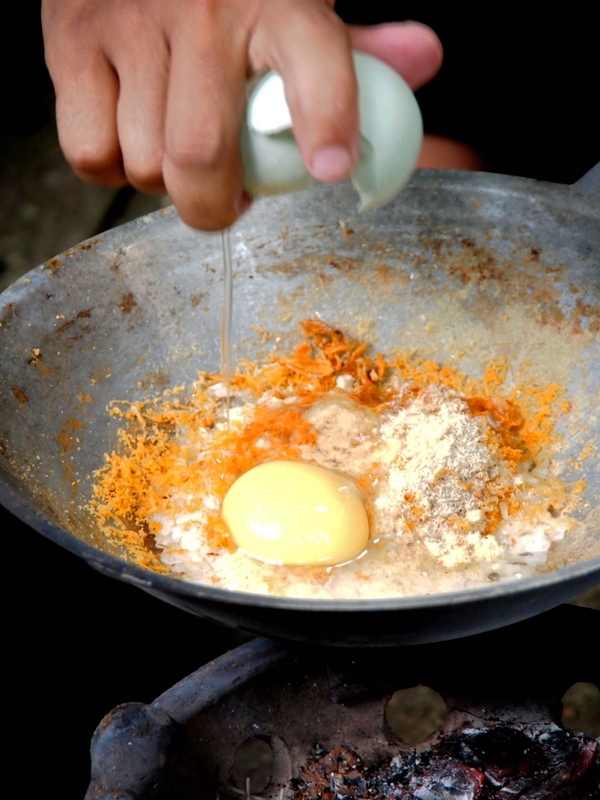 Kerak telor is a popular street food snack in many cities, and particularly in Jakarta. While this omelet dish is prepared with shredded coconut and dried shrimp, the best ones are freshly cooked in a hot wok as you wait. Particularly common in the Sulawesi region of the country, this smoked skipjack tuna has a strong flavour. It is dried for preservation, and used as an ingredient in stews and salads. While seafood plays a vital role in Indonesian food, sepat is red snapper and jumbo shrimps sauteed with chilies, tomato and lime juice. And it is served with rice and a sauce made from the fish juices released in the preparation of the dish. This stew is boiled unripened jackfruit with Indonesian spices, coconut milk and palm sugar. Also, it is served as a side dish with egg or chicken dishes. Glutinous rice is one of the key ingredients in many sweet foods in South East Asia. In Indonesia it is prepared in fermented buffalo yogurt, topped with palm sugar and most commonly eaten for breakfast. 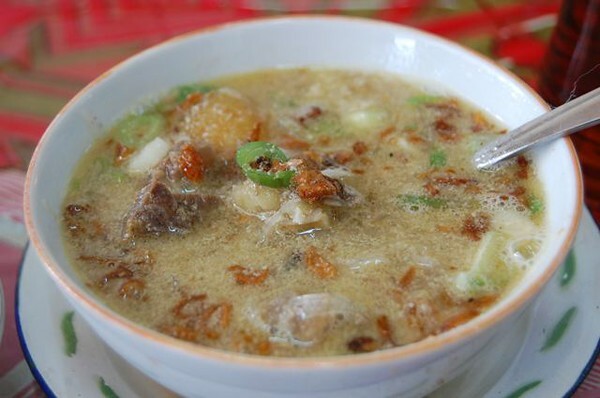 A richly spiced soup, sop saudara is made with either beef or buffalo meat. Also it includes rice vermicelli and vegetables, while also frequently served with pieces of boiled egg and fried potato. This Indonesian food uses catfish, which is one of the more common fish in the region. It is prepared with a hot chilli paste and deep fried. It is commonly served with rice and other side dishes. This special occasion dish only exists in non-Muslim areas of the country such as Bali or the Batak region. 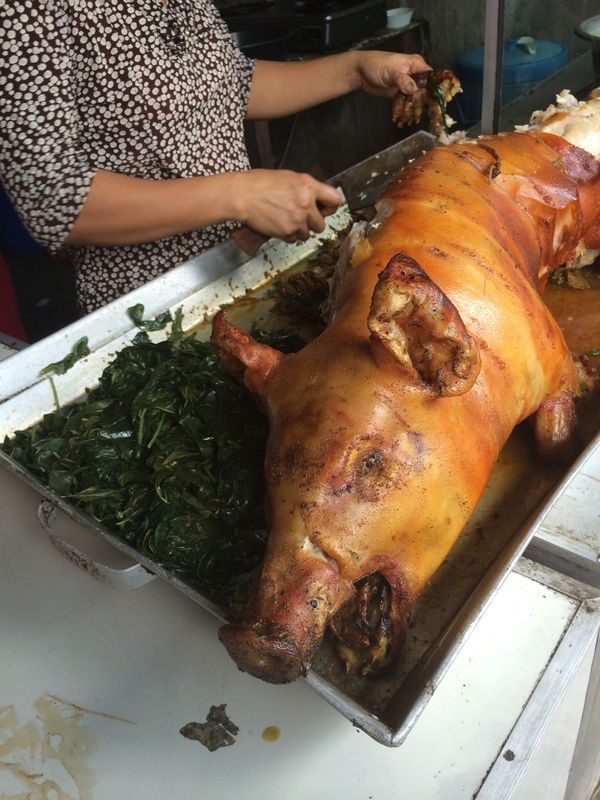 Since babi guling is a whole roasted suckling pig served with a selection of vegetables and side dishes. Originating from the island of Bali, this duck is roasted in banana leaves to ensure moist and tender meat. It is seasoned with a healthy measure of chili and garlic and best served with steamed rice and vegetables. 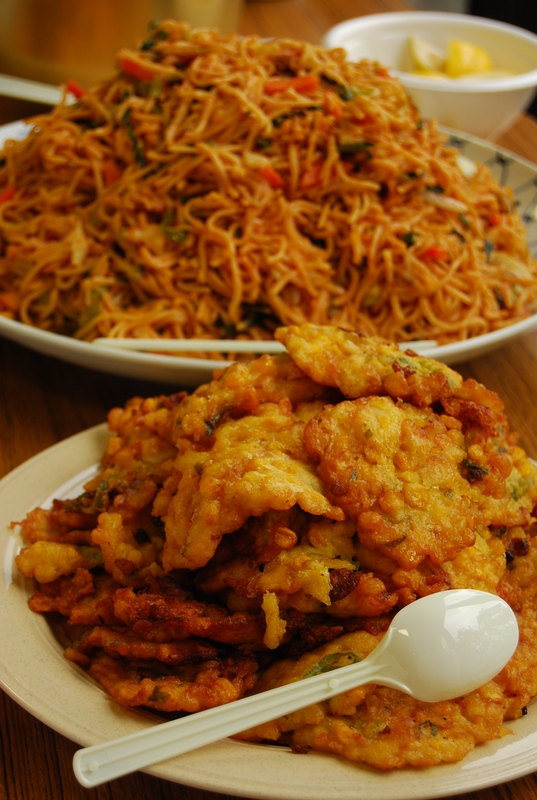 This Indonesian food is most commonly found in West Sumatra. It is often a large piece of fish such as mackerel or tuna that is cooked in a sour and spicy sauce. 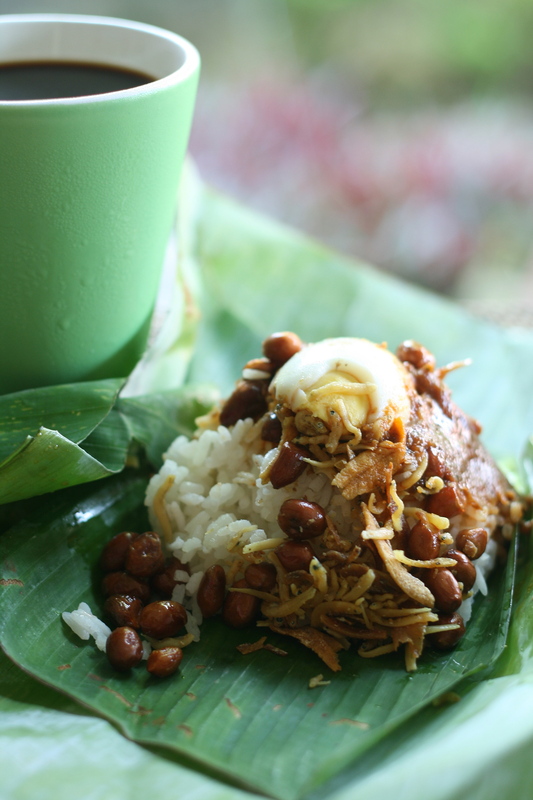 Another rice dish cooked in coconut milk, the distinctive flavour of nasi lemak is from the pandan leaves that are included in the mix. The meal is usually completed with peanuts, anchovies and curried lamb. A tasty soup from the South Sumatra region of Indonesia, shrimps are the main ingredient here. They are cooked with lime, noodles, boiled eggs and bean sprouts, in a broth made from a base of coconut milk and garlic. If you’re not vegetarian tempeh may appear completely alien if you were to see it in a market. Compressed and fermented soybeans form a golden dense. Tempeh is commonly sliced and fried, with a distinct and earthy taste while it is also very high in protein. Noodles play a big role in many Asian cuisines. Hence, this dish includes thick yellow noodles supplemented with vegetables and either sliced beef, goat or shrimp, and served in a thick spicy curry soup. What dishes in Indonesian cuisine have I missed? Share your favourites in the comments below! We just came from Bali and I’ve fallen in love with the beef rendang. They taste soooo gooood!